Destiny 2 for PC will be available on Blizzard’s Battle.net instead of Steam. There’s been a tremendous amount of outrage from the community due to this, with many citing the inconvenience of using another client to play Destiny 2. Some people even plan to boycott the game because of it. 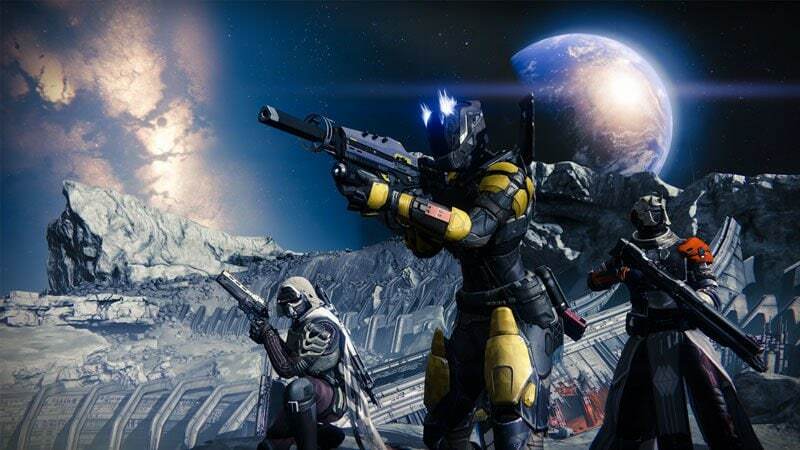 There are plenty of reasons for Destiny 2 publisher Activision to keep it exclusive to its own platform - thirty at the very least. That’s the percentage of revenue Activision would have to pay Valve, if Destiny 2 was on Steam. This alone is a massive plus point for Activision. However, having Destiny 2 on Battle.net will be great for gamers too. For one, Battle.net is a better client. Sure, it might not have the Big Picture Mode of Steam, or the sheer number of games on sale, but the desktop and mobile apps are easier to use, sporting an intuitive design that's slick and stylish. On the other hand, Steam resembles something that would have been cutting-edge in 1995. If looks or usability aren’t a problem for you - and they probably aren't for a majority of the millions of users on Steam - there is also the question of policy. Right now, Valve has been clamping down on some of the core features of Steam, such as gifting games. Gone are the days when you could buy games and store them in your inventory to gift at a later date, nor can you send gifts via email. Valve’s also done away with cross-region gifting, which means games that weren’t available in India - such as those in the Dragon Ball Z series - for reasons such as licensing restrictions, can’t be obtained anymore either. On the other hand, Battle.net makes gifting easier, allowing you to do so via email. This is not just just limited to games either. World of Warcraft for instance, allows users to gift pets, mounts, items, or even game time. In fact, you can even buy Destiny 2 using World of Warcraft’s in-game currency. The ease of use where it matters is what makes Battle.net a better choice for gamers. Beyond that, while Steam has made strides in customer support over the years, it still trails behind Battle.net. Blizzard has been the gold standard for years thanks to its thorough approach and speedy responses. We’ve all experienced this time and again, after experiences like being locked out of the Battle.net account due to hackers, or simply forgetting the password and secret question. Regaining access usually happens in under a day and is hassle-free. Steam on the other hand, is still figuring out how to serve its users better in this regard. Much like GOG Galaxy, Battle.net’s treatment of its users is something Valve should take notes from. Steam has its fair share of fanboys thanks to its regular game discounts, but it lags in other departments that are often glossed over. Steam Greenlight for instance has resulted in a seemingly infinite assembly line of cookie cutter games borne out of stock assets bought from the Unity Store. It’s taken Valve the better part of five years to realise the need to replace Steam Greenlight and even then, it hasn’t decided what should take its place. With Destiny 2 coming to Battle.net, it opens the doors for other non-Blizzard games to as well, which sounds like a net positive for gamers. Sure, you might just boycott Destiny 2 on the PC anyway, but in doing so, you’re essentially casting your vote for the future of PC gaming to be utterly dominated by Gabe Newell and friends, with Steam's restrictive practises, and poor policies, instead of the PC being an open platform, unlike consoles.